It was there at Grandfather Hisakichi’s feet… a Coleman stove! 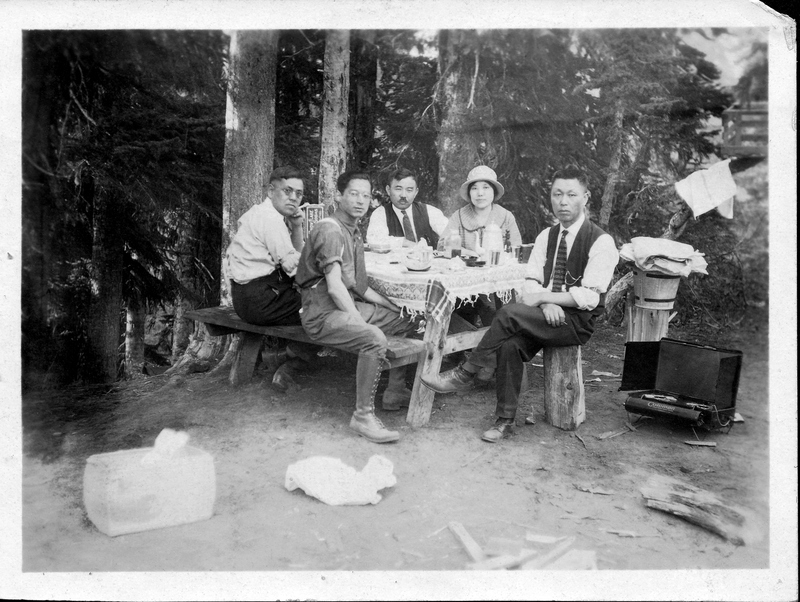 My guess is circa 1920 up near a Mt. 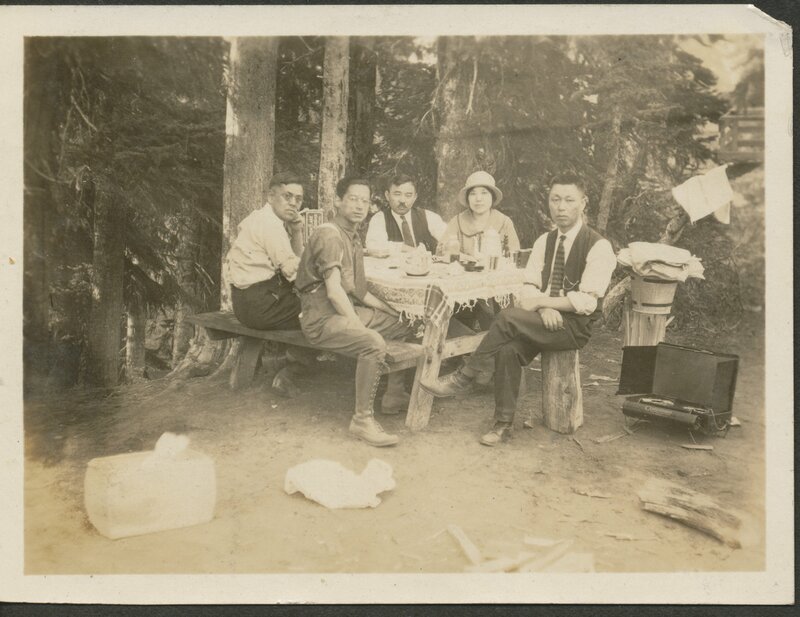 Rainier campground… It’s just so…unexpected to see a Japanese family of the early 1900’s with such an “American” icon. I hope I am not a rascist but I sure didn’t expect it. Grandfather Hisakichi at the right. Unretouched. 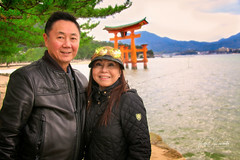 Grandmother Kono is not pictured but I wonder who snapped the photo. There was a photo of Mt. 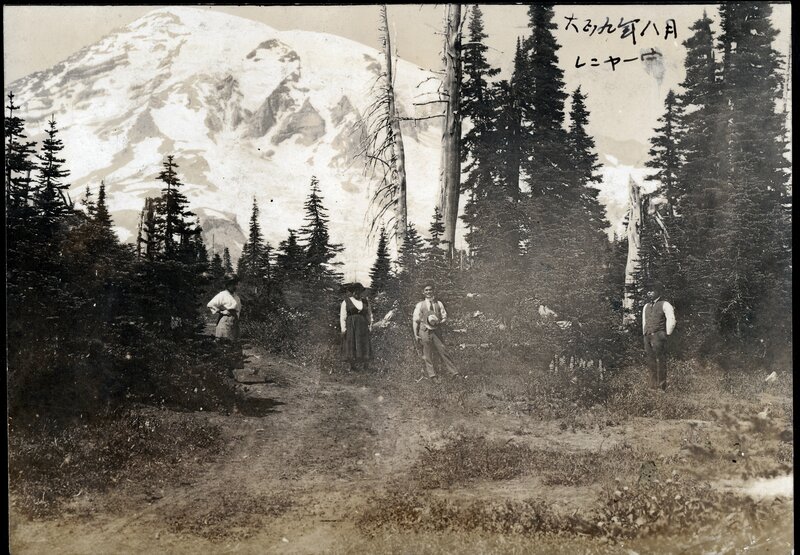 Rainier dated August 1920 on another page in the deteriorating album kept by Grandmother Kono. It is remotely possible the man on the right is also Grandfather Hisakichi but I doubt it. I feel this was at a separate outing from the campsite photo. 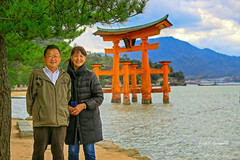 Previous Post正覚寺Next PostDid I? Or Didn’t I? Grandfather Hisakichi was quite the looker! Too bad I didn’t get his genes, then!